A serious one for you today. 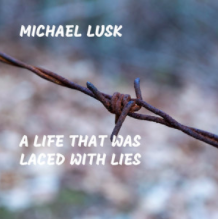 Here is the next new song from Michael Lusk. This one just came out this year. It looks like he also put out another single early this year. We’ll have to check that one out later on, but for now we’ll get another example of a great country song about a struggle many people have. Check this one out. Leave a comment. Let us know what you think. The theme going on here is addiction. A struggle to move beyond something that has control over you. There doesn’t seem to be a specific addiction mentioned. We just get the story of someone that overcomes what’s holding the person back. They have made it through at least for one more day. The title is good. That’s how addiction is. Whether you’ve been through it yourself or if you know someone that has you know that addiction comes out when the person has to build lie upon lie. They chase down that rabbit hole. Part of them knows that what they’re doing is wrong and they don’t want to get found out. So they have to build on those lies until the entire house of cards comes down. I just read Lorrie Morgan’s book about her life with Keith Whitley. For some reason this song hits a little closer after reading that book. Great song from a good artist. I like Michael’s voice. A hat tip to the songwriter. Great job with the lyrics on this one. Thank you so very much for sharing the story. Great insight into the song. Michael always presents the song so well. I stand with those who are facing addiction. I have been there myself.